The bay in Porto Cervo on the Italian Island of Sardinia is currently home to roughly £1 billion pound sterling ($1.566 billion USD) worth of mega luxury superyachts. These include multimillion dollar, privately owned, professionally crewed motor yachts all over 24 metres (78.74 feet). 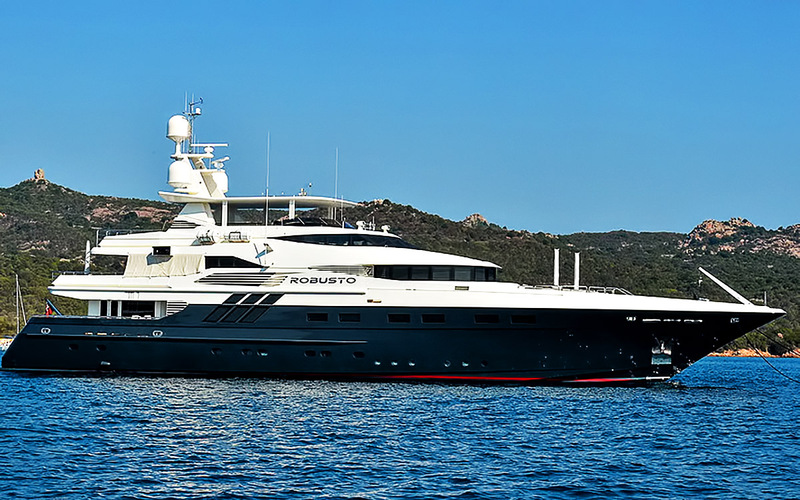 Some of the world’s largest luxury superyachts ever built are often found moored in the Italian seaside resort area of Porto Cervo in northern Sardinia. The shores of the bay boast a natural port with an older and newer marina, where the latter is home to the exclusive Yacht Club Costa Smeralda club house. Romazzino Bay in Porto Cervo is considered to be the most expensive location in Europe where residential prices reach up to €300,000 (333,510 USD) per square metre, according to a study released by Engel & Völkers, a European luxury real estate brokerage. According to CNN, Hotel Cala di Volpe, which was featured in The Spy Who Loved Me (1977’s James Bond film starring Roger Moore), is listed seventh on a list of the world’s 15 most expensive hotel suites. The presidential suite of the hotel is approximately billed at €29,446 ($32,736 USD) per night. Below is a collection of some of the most expensive, uber luxurious mega superyachts pictured in the bay area of Porto Cervo. Open each photo for detailed information about these incredibly designed yachts found seaside on the Mediterranean Sea’s Island of Sardinia, Italy. Of all the amenities that come standard in luxury buildings these days, there's one that many residents just can't live without and that is a concierge. More than just a doorman, having an in-house concierge can make nearly every aspect of your life easier, starting the moment you walk thru the door. Tucked away in the northwestern area of Italy, Portovenere is a town that dates back to at least the middle of the first century. The ancient town is a hidden treasure for tourists and even residents of Italy to still discover.